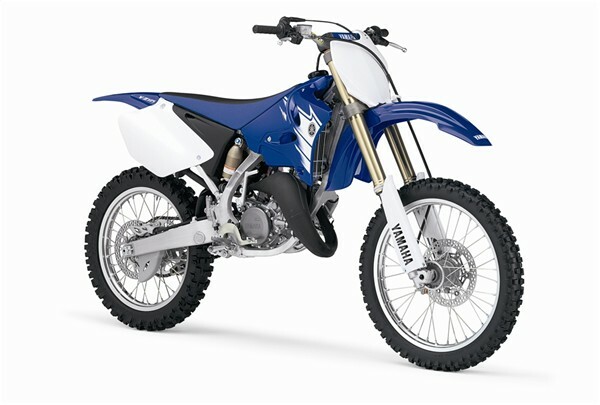 off road bikes for sale - how to buy - where to buy? Off road bikes for sale - Buy em’. Tips on Off Road Bikes for Sale. Whether buying an off road dirt bike or listing off road bikes for sale, there are a few basic tips to help the process go faster. These clues help the experienced seller and buyers, as well as those new to the trade. This tip is for both the buyer and seller. Find out what the customary price is for the bike in question. Look online or open the local newspaper or vehicle-seller magazine. To get a fair comparison, you need to know the condition of the bike. Do an inspection and note any obvious problems. If you are the buyer, that will help determine how much money will be needed after the sale to repair the bike so it is safe to ride. If you are the seller, that will help you decide whether you want to fix smaller problems or decide what amount you will take off the asking price if the buyer wants to deal. Split the cost of an unbiased mechanic and get a professional evaluation. If it has been ridden hard, cracks in the frame and broken spokes could be an issue. In addition, the mechanic will be aware of known factory problems with that particular model. Why the Bike is Being Sold? It is just natural curiosity to wonder about off road bikes for sale. As the seller, you should be prepared for the question of why the bike is being sold. Did your six-year-old child decide riding looked more glamorous than it turned out to be? Perhaps your company is transferring you to a location where the bike would just sit in the garage. Most likely, you want a bigger bike and have to sell the smaller one to help finance the new one. Be prepared to deal if you are serious about selling, but get the bottom-line price you expect. As a buyer, avoid letting a shimmery blue paint job throw good sense out the window. Off road bikes for sale should look nice for showing. There are more important things to consider, and sometimes you just have to walk away. So much choice where DO you begin???. There are many off road bikes for sale, if you take your time and pick wisely. New bikes are numerous on the net, and because they ARE on the net, less overheads means they can offer these savings to you the customer. When buying a new small off road motorbike, a certain amount of assembly may be required, if it comes in a box via the post or a courier. If your a patient person and handy with a set of spanners you can do this yourself. If not you can check out your local bike supplier or neighborhood store as they may be able to do it for you (for a fee of course). A used dirtbike for offroading can be great fun. 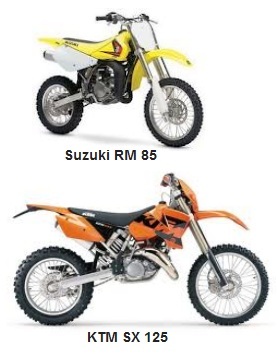 From a pre-owned KTM to the cheap mini motorcross bikes for kids - the choice is enormous. Dirtbikes and pitbikes not only come in all shapes and sizes, but at all kinds of budgets. A small pit bike for example can be as expensive as you want it - and a full sized bike can be less expensive than a pitbike with all the trimmings. Online guys and women dirt bikers want to know where to get fabolous motorcycles and used bargains to boot – so lets take a look for brilliant off road bikes for sale on the web. Mypurerush.com has some nice new two wheel gear. A dirt rider should find some great MX bikes here. We discovered an AKUMA ASSASSASSIN MARK 2, and it comes complete with a Mikuni Carb and an unstoppable Lifan Engine. But they also have a nice range of Cheap 125cc stunt bikes at competitive prices. However we liked the 140cc Dirt Cat XS Pit Bike, which has FastAce Front Forks, a powerful Lifan Engine and a FastAce Gas Rear all for £749.99. Also we enjoyed looking at the Akuma Assassin 110cc pocket dirtbike. For the cheap £359.99; you get a 110cc 4 Stroke Lifan Engine, Alloy Forks, chrome exhaust & handlebars and a Mikuni Carb as well. A fantastic bike for any tracks your thinking might break a lesser pit bike. A few rocks turned – a few bargains found. Mxchange.co.uk is brilliant for any rider who's on fire for used models. You can look for a low mileage yamaha, a clean kawasaki or the hundreds of mini pocket bikes for sale - what gets your adrenaline pumping? But we ventured first on a KTM SX-125 (125cc); for £2400. As the owner had joined the army he had no use for this dirtbike – plus it only had 10 hours of riding on it – great value! Next along in our two wheeled search for off road bikes for sale; was a Suzuki RM 85 (2005) model; which was under the kids / teen section. 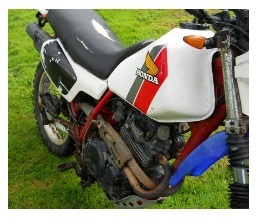 Priced at £1100, the pictures showed the motorcross bike was in excellent condition. 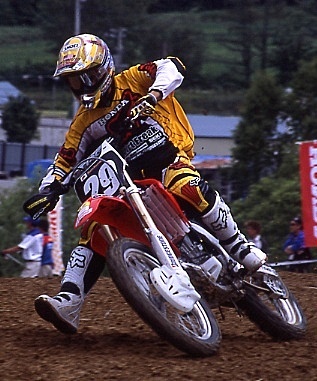 It had never been raced on MotoX circuits, and hardly ever used - perhaps it was an unwanted present? Ebay always has a great range of freestyle (FMX) bikes, parts and tires. You can even buy grips n’ handlebars for your honda or four stroke bits for that broken engine at home. But we came looking for pitbikes and off road bikes for sale, and we found a 50cc Pit Enduro, that was stated as "road legal" with a 4-stroke, aircooled chain driven engine. At a current bid of £431.00 and only 6 hours 6 mins left of the auction to go - it may not go much higher. We would double check on the road legal element – as we can’t figure that a bike like this would be legal to ride on the highway? But we could be wrong? A fast 110cc pit/dirt bike with only 2 hours 38 mins left on the auction was being sold currently for £165.00. Description was a bit broad, but it did need a new back wheel and had a few scratches on the front and back forks. But for the newbie rider who wants to spend very little this should be a good purchase. You wouldn’t think of amazon.com as a general store for off road bikes for sale would you? But you can. Ok it was a more manageable Razor MX500 Rocket bike, which is an electric motocross bike for kids, but it still has a speed of up to 17mph and includes pneumatic knobby tires and a retractable kickstand. All for $379.99. Also on sale was the Stomp Superstomp 120 Pit Bike for £719.00 and the Stomp FXJ Pit Bike (with the 110cc engine) for £659.00 - both these bikes were brand new. Amazon do sell more powerful off road bikes for sale and although we cant define the four stroke models they sell (as they change all the time) – they’ll all be ok for tuff trails and your local dust circuits. Buying any off roader, you need to be more specific than "i want a blue dirt bike". You must choose the right dirt bike; ie: the correct engine and “cc” for YOUR purposes. What’s right for your buddies may not necessarily be right for you. If you keep an open mind on brands (perhaps look at the top 4 first – Suzuki, Kawasaki, Honda and Yamaha) – then see what models they have for your age and ability. Remember condition and quality is everything, once you have a particular motorbike in mind. There is nothing wrong in going for an unusual MX bike either, but be aware rider advice may be thin on the ground; as less people will have knowledge of those types of off road bikes for sale.